Who was the father of John Fowler, Hatter? Researchers are divided on this question. Some think that he was the son of Henry Ellis Fowler and wife Catherine Puckett; others think he was the son of the elder John Fowler and wife Fannie. My speculation is that he was the son of Henry Ellis Fowler, but only DNA testing or the discovery of documents buried deep within the courthouse vaults will give us the answer. Sarah may have been the name of his wife, although I have not yet been able to document this theory. If his wife was living at the time of his death, she was not mentioned in his will. John the Hatter was born circa 1775, and died in Union County, SC between the time he penned his will on December 14, 1832, and February 9, 1833, the date his will was recorded in probate. He left his estate to his son Lemuel Fowler, his three daughters Desina, Catherine, and Omey, and his grandchildren from his deceased daughter Delila Fowler Whitlock. He left many descendants, although there are only a few direct male descendants who still carry the yDNA which would unlock the mystery of his parentage. Let’s take a look at the children and their offspring of John Fowler, Hatter. DELILA FOWLER was born circa 1791 and died before 1832. She married William Whitlock (1789-1867). son born circa 1829; died before 1850. Speculation that Delila died during the birth of this child. DESINA FOWLER was born circa 1802 and died circa 1840. She married James Walton McWhirter (1800-1884). CATHERINE “CATY” FOWLER was born circa 1805 and died in 1866. Caty married Lemuel Johnson (1806-1875). It appears that they had no children, although it is slightly possible that they did have one daughter, name unknown to me. After Catherine’s death, Lemuel Johnson married Mary Elizabeth LNU 1837-1917 and they had four children before his death in 1872. LEMUEL HOLTER FOWLER was born circa 1808 and died in 1864. He married Permelia “Milly Mitchell” 1811-after 1880. Milly Mitchell was a descendant of Rev. 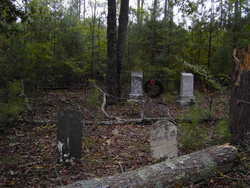 Elias Mitchell who died at the pulpit in Chester County, SC and buried in the old Mitchell graveyard deep in the woods above Jonesville, SC. OMEY (MARY) FOWLER was born circa 1812 and married Henry Lassiter. The story of Francis Marion Whitlock, son of Delila Fowler and William Whitlock. Francis Marion Whitlock and his cousin Felix C. Haile (son of Milligan Fowler) were recorded in the same household in Chester, SC in 1850. By 1860, they had headed west to Llano,Texas and were living with a Haile family. Both men found wives in Texas; Felix marrying Pruda Bolt Garner, the widow of Thomas Garner, and Francis Marion Whitlock married Susan, last name probably Cooper. Felix Haile and his family returned to Jonesville SC around the time of his father’s death in 1871. Francis Marion Whitlock and his family met an unfortunate end in Texas. I have copied the information from Find a Grave to pass on the tragic events of December 7, 1870. [from J. Marvin Humter’s Frontier Times Magazine, January, 1937]Thank you to Janet Bertram for this contribution. Hi. You’re a real sleuth. Thanks for your work and dedication. I am a decendant of William Whitlock and Delilah Fowler I believe. Through their son Felix Gaines, to his son Frank Marvin, to his son Felix Gaines (grandson of first), to his son Julian, my father. Le me know if I can help.